It’s not easy to make the transition from domestic violence victim to survivor. A disappearing final protective order doesn’t help. In fact, it can be incredibly dangerous. After a final protective order has been granted the judge describes what kinds of behaviors the order restricts and what services or remedies it requires. Both parties receive copies and go home. But what if the respondent, having lost the case, decides to appeal his or her case to Circuit Court for a de novo hearing? We were surprised to find that court announcements of de novo protective order hearings are sent via regular mail to domestic violence victims without lawyers – approximately 72% of all cases. In some situations court notice via the postal service is sufficient. This is not one of those cases. When a petitioner is represented the notice goes to their lawyer. When lawyers aren’t interested in handling the appeal the news isn’t always passed on. Many domestic violence victims are in the most chaotic month of their life when they obtain a protective order – they’ve left their abuser and their risk of assault has skyrocketed. They’ve missed work or paid for day care and come to court two or more times. Most of all, their living situation is in flux. They may give an address to the court but be staying in a different place two weeks later. Their mail often does not catch up with them. Many petitioners overcome every barrier and obtain a Final Protective Order in a Montgomery County District Court. They shouldn’t have their order dismissed at a hearing they know nothing about. Numerous petitioners in more than one Maryland county have missed critical Circuit Court hearings on their case and lost all legal protection without even realizing it. A petitioner who faces this catastrophe may not know she has lost her legal protection for some time, creating dangerous opportunities for renewed abuse. At best, she or he has to start the court process all over again. 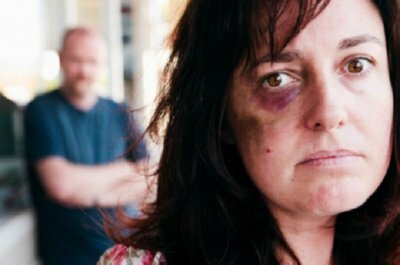 Given the significant dangers associated with being a victim of domestic violence without protective order protections, Maryland courts might consider requiring a signature or using a different method of notification that would ensure that victims always know about appeal hearings challenging their protective order, so they have an opportunity to present their case again and keep the legal protections they worked so hard to obtain. Let’s help people move from victim to survivor and not in the other direction.